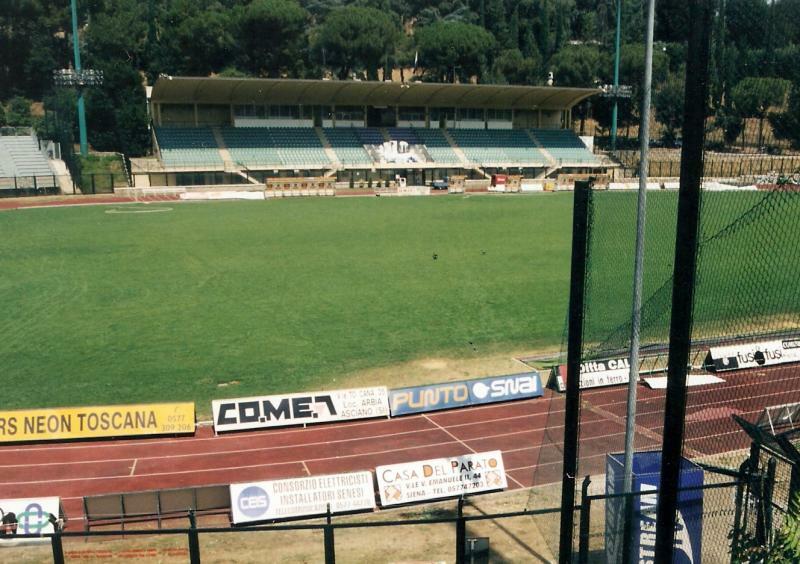 Stadio Artemio Franchi opened on the 8th of December 1938 with a friendly match between Siena and Empoli. 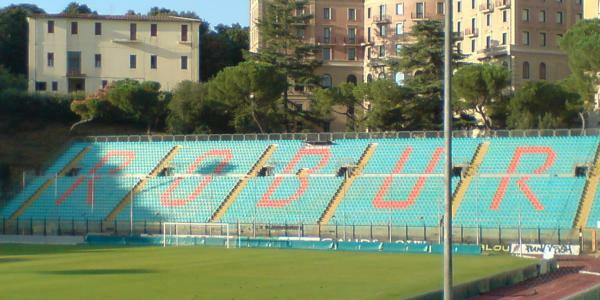 The stadium was initially simply called Stadio Comunale, and only received its current name in 1986. The addition Montepaschi Arena was added in 2007. 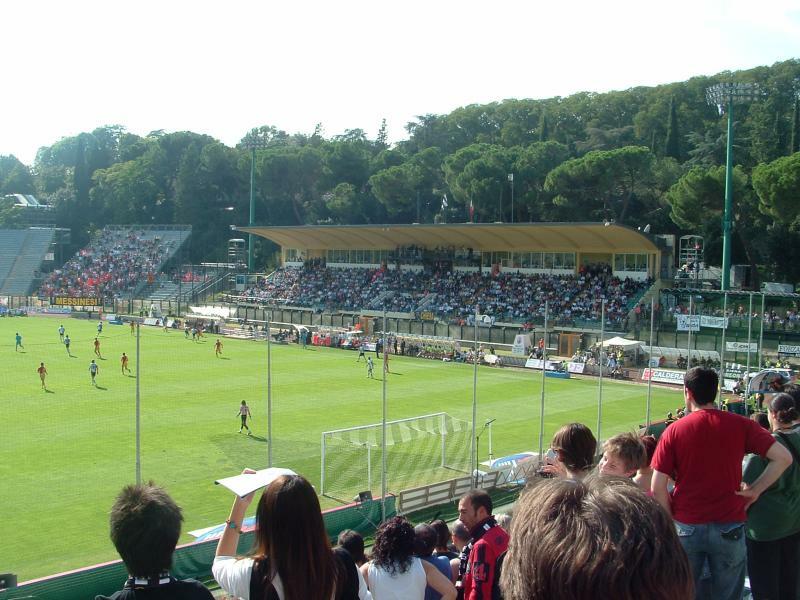 The stadium received various renovations over the years, most significantly in the mid-2000s after the club promoted to the Serie A and several new stands had to be built to comply with Serie A standards. Stadio Artemio Franchi lies on the edge of Siena’s historic centre, right next to the Basilica di San Domenico. It is just a 5-minute walk from the central square Piazza del Campo or the Duomo. Siena’s train station is located slightly further away outside the centre. The walk should still take no more than half an hour, or take one of the many buses that go into the centre. Most buses will drop you off right by the stadium. Stadio Artemio Franchi is located right in Siena’s splendid historic centre, which means that there is a wide array of bars and restaurants in the immediate vicinity of the stadium. Of course, neither miss out on visiting the city’s many historical monuments. Similarly, there are tens of hotels at short walking distance of the stadium. 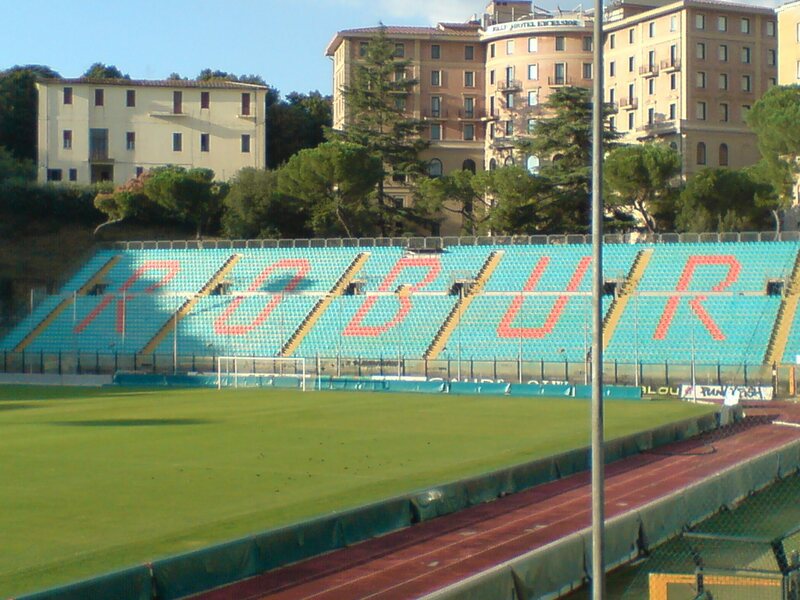 Click here for an overview of hotels near Stadio Artemio Franchi. Tickets for AC Siena games can be bought via any of the Listicket sales outlets, or at one of the other selected sales points. Centrally located sales points are the new agencies at the Via Rinaldini 9 and the Via Banchi di Sotto 33 (both right by Piazza del Campo), or the club store at the Via della Sapienza 27 (closer to the stadium). The club store is also the place where tickets can be bought on the day of the match. Siena is not expected to sell out in Serie B. Tickets cost either €15.00 for a seat behind the goal or €25.00 for a seat at the long side, or €95.00 for the covered main stand. For more information call +39 0577 271288 or email biglietteria@acsiena.it. Acsiena.it – Official website of AC Siena. Terresiena.it – Siena tourist information. Sienamobilitá.it – Siena public transport information.